The parish as a whole is committed to supporting those in need. Please look out for any future fundraising events in our church and news of developments in the area where our church community can join with people of other faiths to support the needy fleeing war in Syria. Closer to home, we continue to collect items for the local foodbanks. There is now a foodbank in Bishops Cleeve and volunteers are always welcome. Please look on the notice board for grocery items that aremost needed right now! More hands make lighter work. 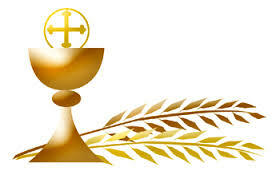 Ministers of the Eucharist, Readers, Welcomers, please contact the parish office if you need to know who is on the rota for any particular week in either of the churches in the parish of St Nicholas. Parishes are made up of people and lots of parishioners help ensure the smooth running of both Saint Nicholas and the services that are held at St Michael’s – the church we share with our Anglican friends in Bishops Cleeve. Please contact Father or Chris Davies if you would like to add your name to either of the lists of ministers who support Father Peter and make the parish run so well.